Simbu and Selvaraghavan excited to work together; Dhanush gives Simbu advice! Good news for Simbu fans, as the actor is all set to work with two ace directors back to back- Gautham Menon and Selvaraghavan. 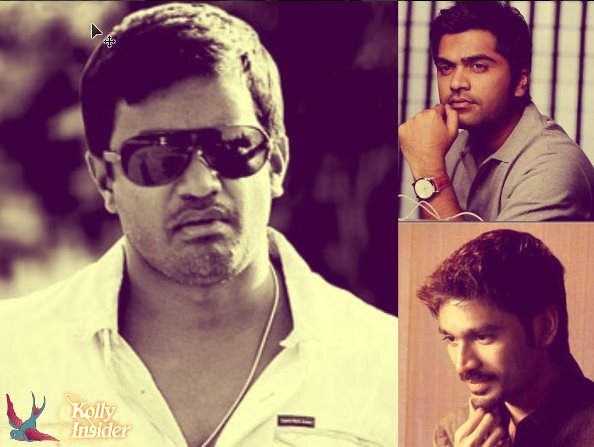 Home » Dhanush | Selvaragavan | Simbu » Simbu and Selvaraghavan excited to work together; Dhanush gives Simbu advice! Acclaimed director Selvaraghavan has officially announced that he would revive his film with Simbu which was shelved a few years ago. Also, Simbu revealed that it is a action thriller with Trisha in the lead. After a while, Simbu and Selva got us some exciting news on the project. Simbu wrote on his social networking page, "Me and @selvaraghavan are reviving are project ... Super excited and thrilled about the combo #Selva #Yuvan #Str #longdue". Selvaraghavan too was extremely happy and excited about joining hands with Simbu, he wrote, "Happy to announce my next project with @iam_str . it's sure to be something you'll all enjoy. Looking forward #longdue #yuvan #str #selva". Selvaraghavan also thanked his fans for their patience. Meanwhile Dhanush, who too was excited about the news wished both Simbu and his brother good luck. Interestingly, he has also requested Simbu to learn from Selvaraghavan he said, " my anna @selvaraghavan nd my thambi @iam_str come together:)all d best bros. im sure it's gonna be great.simbu get ready 2 learn 4m d best". It was earlier reported that Trisha would be paired opposite Simbu in the film, but an official announcement on the cast is expected soon. The last time the duo had come together for Gautham Menon's Vinnaithaandi Varuvaaya, they created magic at the Box Office. This is the third time they are teaming up for a film, after Alai and VTV. Shooting of this film is expected to be wrapped as soon as possible post which Gautham will start his new movie with Vikram while Simbu will start shooting for Selvaraghavan's flick.